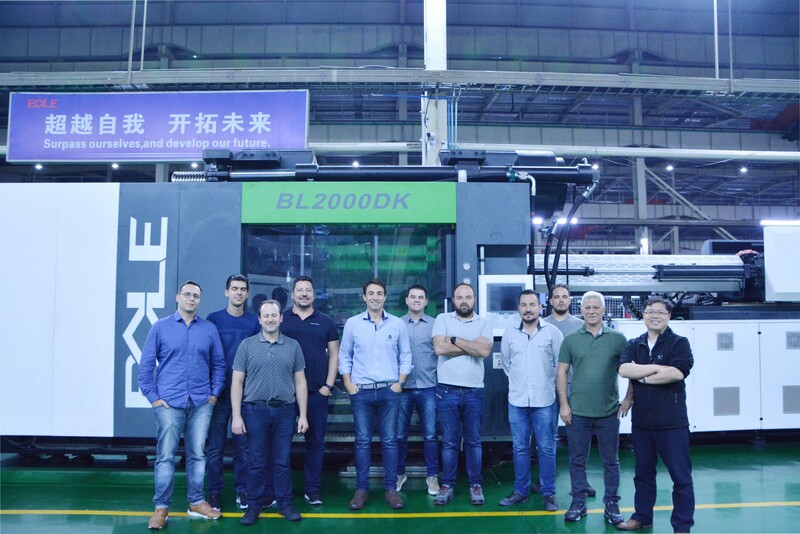 In order to have a better understanding of Bole`s new technology and learn the Bole`s overview, Bole invited Brazilian agent and their customers to have a wonderful visiting in Ningbo on 20th March, 2019. Accompanied by the sales manager of our company, we started the Bole trip of the Brazilian agent.With 6S modern enterprise management mode, we earnestly implement the management philosophy of Seiri, Seiton, Seiketsu, Standard, Shitsuke and Security. From the world's leading processing workshop, to the spotless assembly workshop, then the wide and strict debugging workshop, as well as the neat and uniform finished products warehouse, every link has left a deep impression on the Brazilian agent. 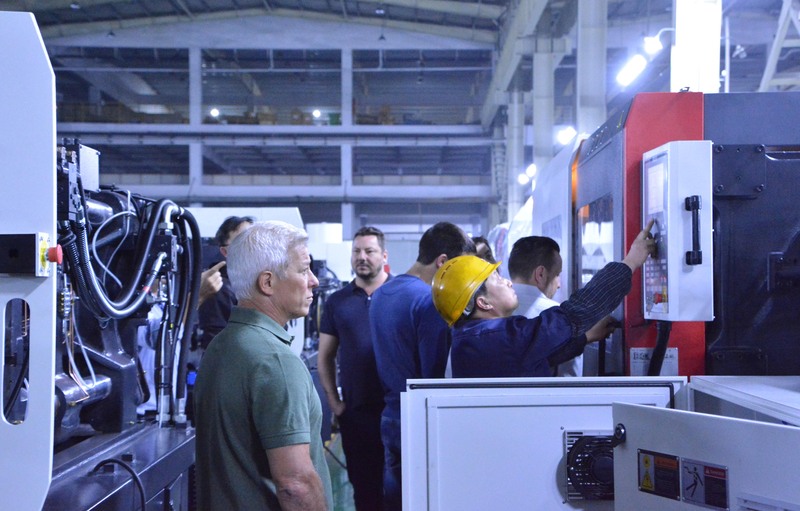 When visiting our products, our Carbon-fiber Product Intelligent Molding Line(CIML) received all the attention from the Brazilian agent. CIML is based on the market demand of automotive lightweight, gather a variety of materials, multiple processes, combined into one. With the sustainable development strategy of saving energy, the energy crisis and environmental pollution have been reduced to a great extent under the condition of ensuring safe use of energy.For friends in the industry, injection precision, product weight repeat precision and open and close mold position precision determines the performance of the machine.The Brazilian agent gave high comments in this regard after visiting our products EKS, DK, FE and so on. The Brazilian agent's visit to bole is of great significance. 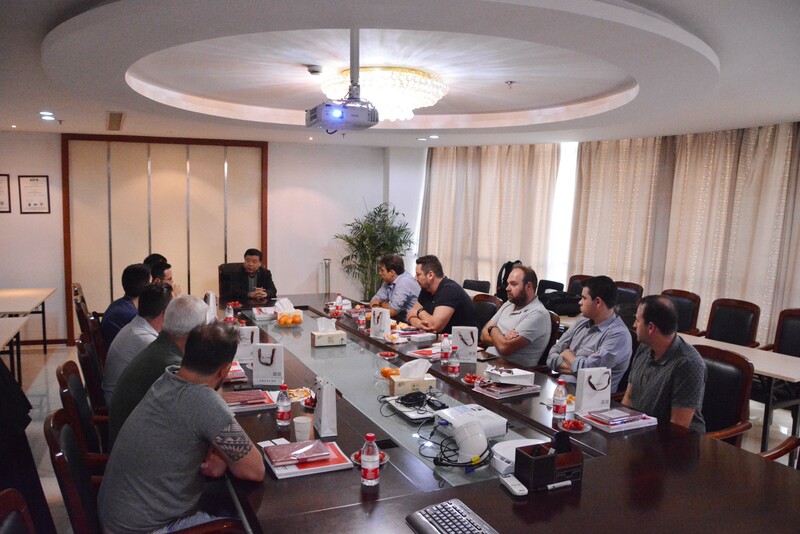 Bole has increased the confidence of the representatives through practical actions and guided the future development direction of the market.As a latecomer in the field of Plastic Machinery in China, bole has been making continuous efforts to catch up on the road of innovation. From the center clamping structure to the Carbon Fiber Product intelligent molding line, bole has improved the core competitiveness of our customers and brought vitality to the market.Bole will also keep up with the trend of development and make every innovation meaningful.